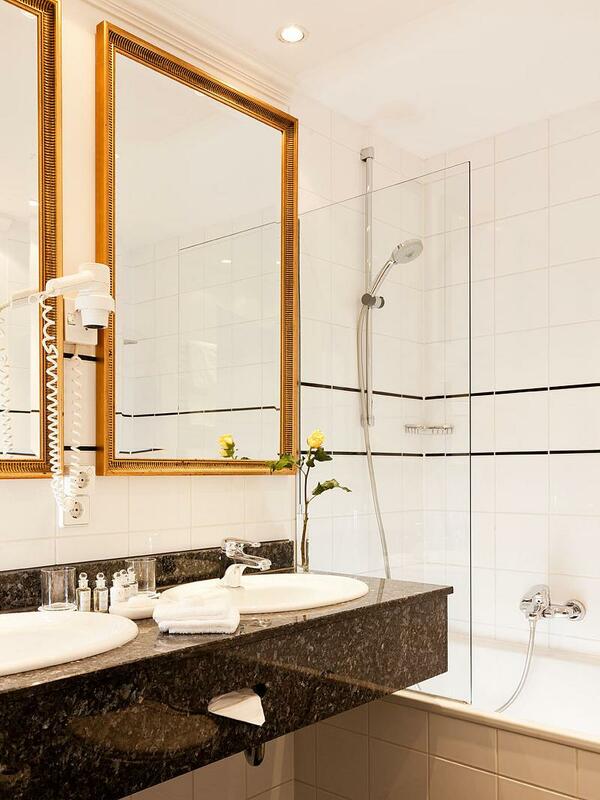 Stuttgart-Marketing GmbH‘s position is exclusively that of an intermediary for the accommodation service booked. Contractor is the hotel. From here you can see the most beautiful side of Stuttgart: the wonderful Schlossgarten. 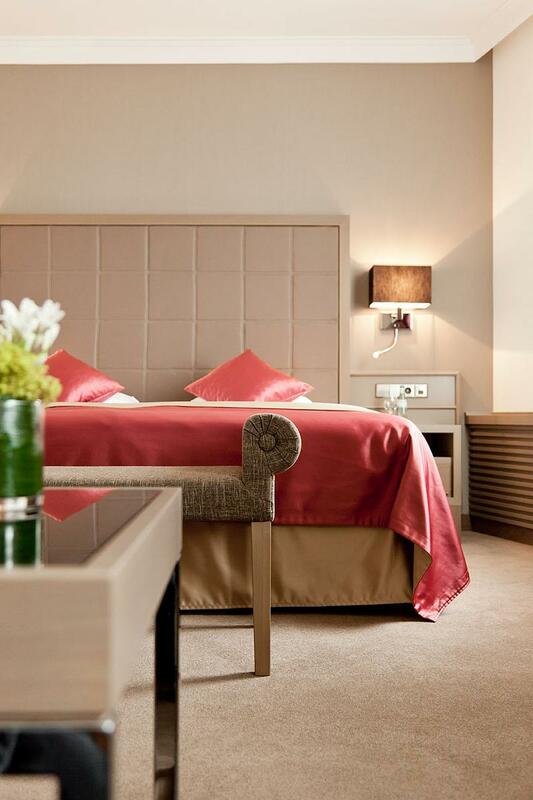 The Deluxe Rooms have an area of 32 sqm and have a comfortable lounge area with sofa. 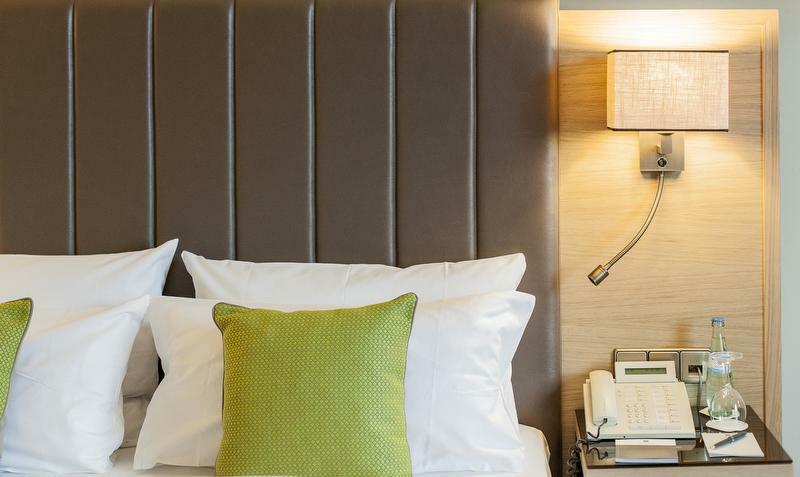 Our newly renovated modern executive rooms measure 20 sqm, have a beautiful Parkview and are equipped with a 1,60 m Queen Size bed. 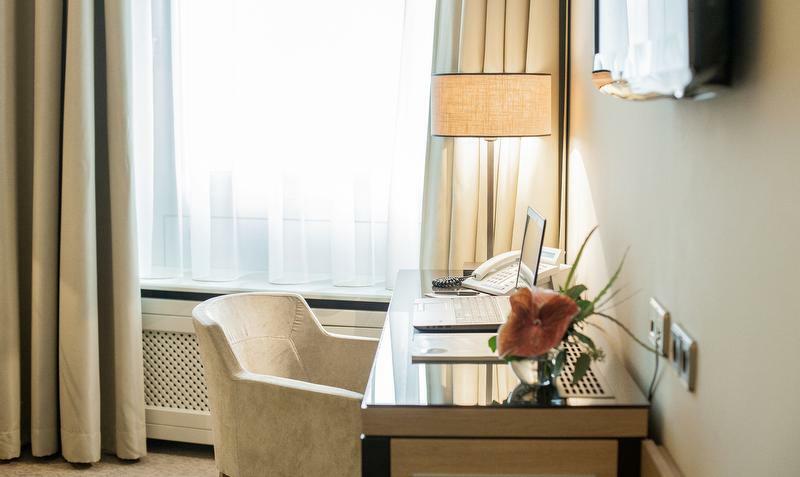 Enjoy a city view from our stylish and spacious Junior suites, which offer plain comfort over 38 sqm. They are fitted with a 37” flatscreen television and have a King Size or double bed and a comfortable lounge area. 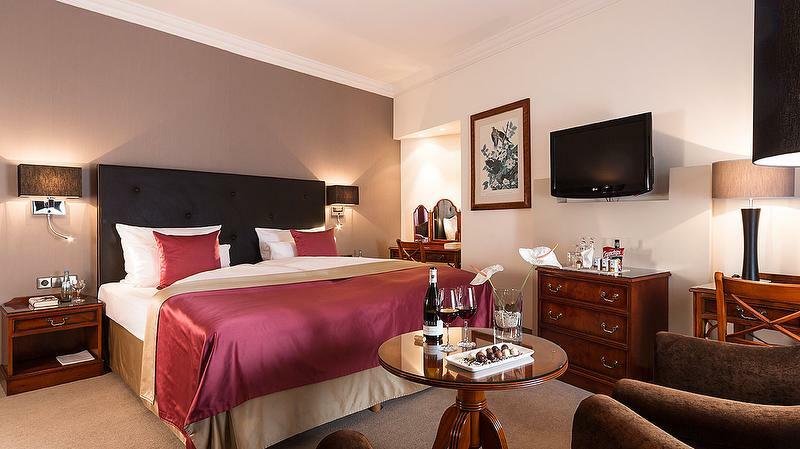 The timeless stylish Superior rooms have a spacious area of 28 sqm and are fitted with either twin beds or a double bed. Make yourself comfortable in the cozy sitting area. We combine in this package regional dishes in our Weinwirtschaft | Weingut Franz Keller with fine dining in our “Gourmetrestaurant Zirbelstube”. The Zirbelsube with the head of cuisine Denis Feix (1 Michelin Star) is one of the most famous restaurants in Stuttgart. You will for sure remember to this culinary-journey. 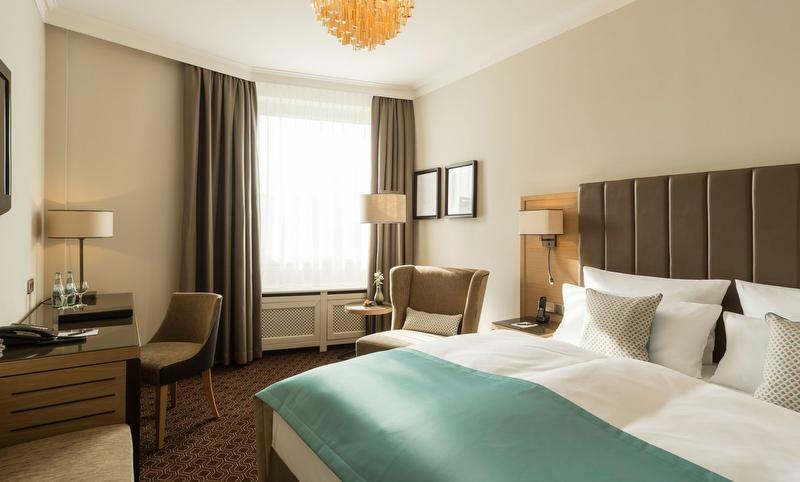 The Hotel am Schlossgarten, which forms part of the Althoff Hotel & Gourmet Collection, is a member of Leading Hotels of the World and situated in the green parklands of the Schlossgarten, in the centre of Stuttgart, next to the city´s main shopping mile, Königstrasse. 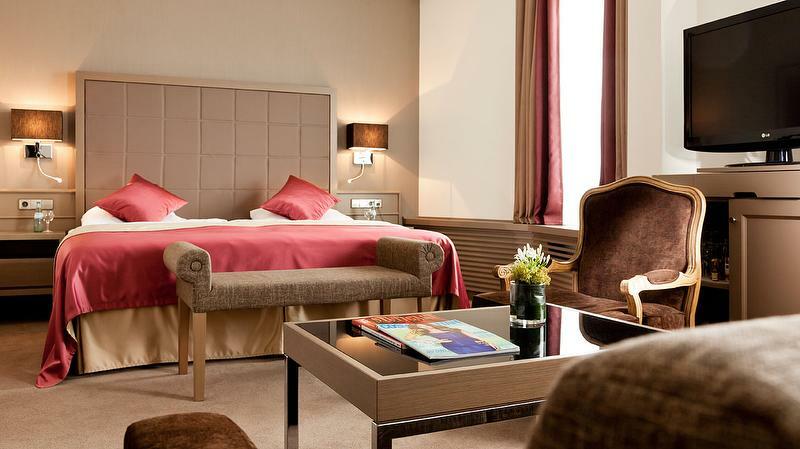 The location of this five-star hotel makes it an ideal starting point for a cultural city break in the state capital of Baden-Württemberg, with a visit to the Württembergischen Staatstheater (State Theatre), the famous Ballett- und Opernhaus (Ballet and Opera House), the Staatsgalerie (State Gallery) and the Neue and Alte Schloss (New and Old Palaces). 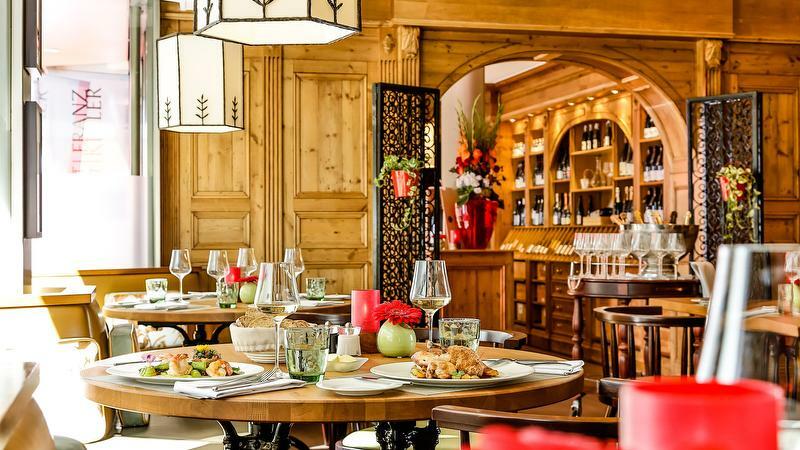 Only a few minutes´ walk from the central station and 15 km (just under 10 miles) from Stuttgart Airport, “Die Zirbelstube” is ideally suited for lunch with business partners. 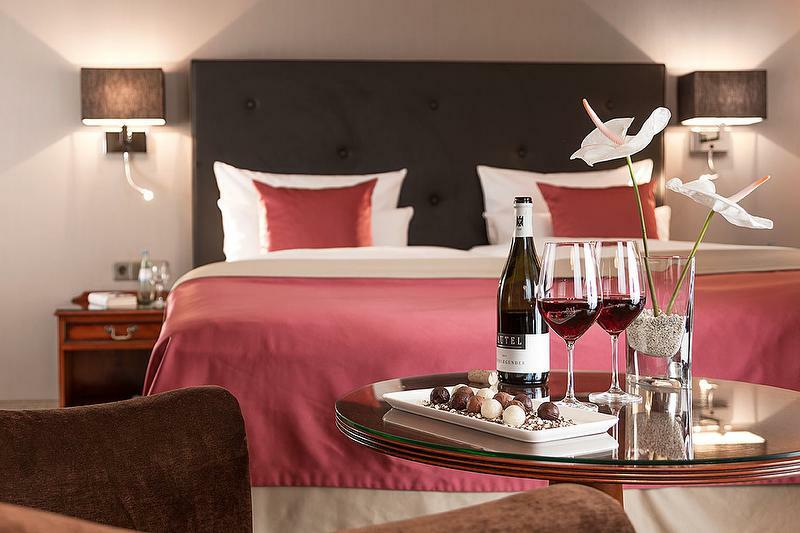 Built in 1962, the hotel has been part of the Althoff Hotel & Gourmet Collection since 1998. 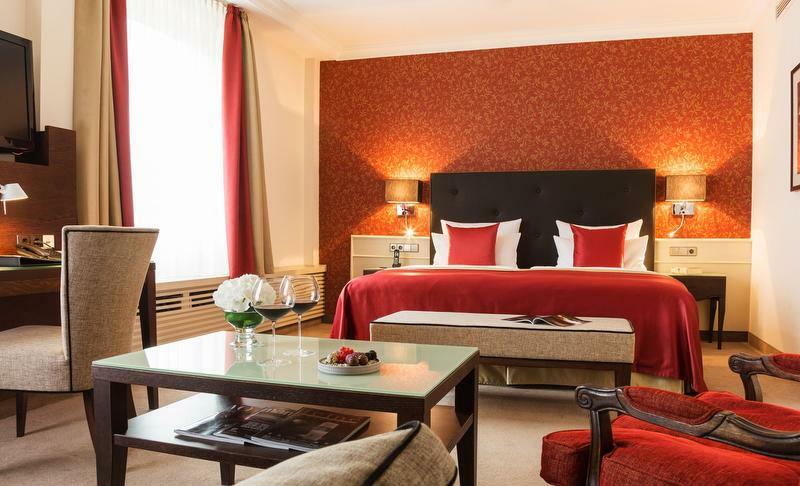 The 106 rooms and suites – some with views of the historic Schlossgarten – are decorated in warm tones of red and brown. 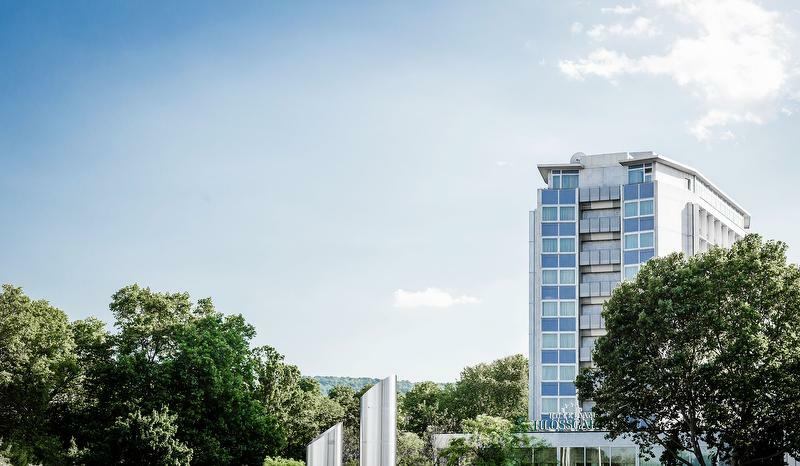 The largest suite, the Opern Suite, is 75 square metres in size and has a balcony with a panoramic view of the roofs of Stuttgart, the Schlosspark and the Opera. The suite has an exclusively fitted bathroom with amenities such as a private sauna and whirlpool integrated into the bath. The gourmet restaurant Die Zirbelstube has a Michelin star and features innovative French cooking with regional variations by its chef, Sebastian Prüssmann. The restaurant manager Talisa-Isabel Bernthaler looks forward to welcoming you. The interior of the wood-panelled restaurant has been designed by Markus Hilzinger and Isabella Hamann from Fine Rooms Design Konzepte. In sunny weather, additional seating is provided on the terrace with a view of the Schlossgarten. 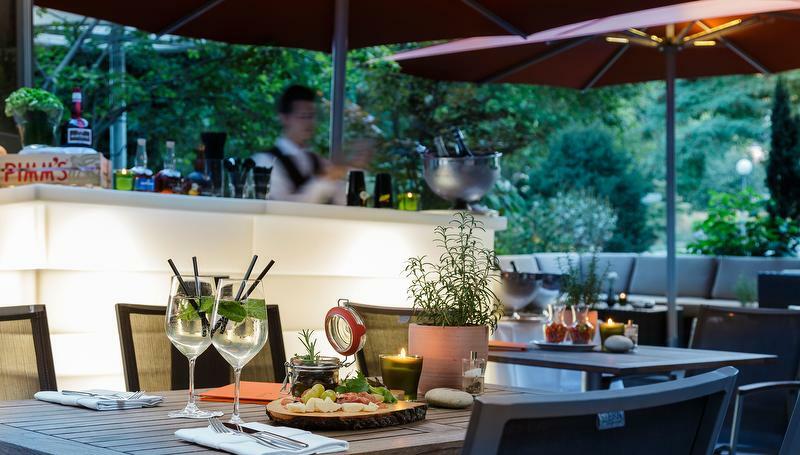 The Vinothek am Schlossgarten is a wine shop and bistro in one. German and French wines can be tasted and purchased here. The wine bar is an ideal meeting point straight after work, a trip to town or a visit to the theatre. The Café am Schlossgarten provides cakes, pies as well as breakfast, little snacks, small meals and speciality ice cream. The John Cranko Lounge, named after the famous choreographer of the Stuttgart Ballet, features American cocktail bar culture. The lounge character is further underlined by regular live music in the evenings. Four combinable salons are available for conferences, meetings and events, totalling 42 to 198 square metres and suitable for up to 120 persons. The premises also include two smaller meeting rooms, and the Schlossgarten Restaurant can be used as a dining room. All conference rooms have natural daylight and air conditioning. 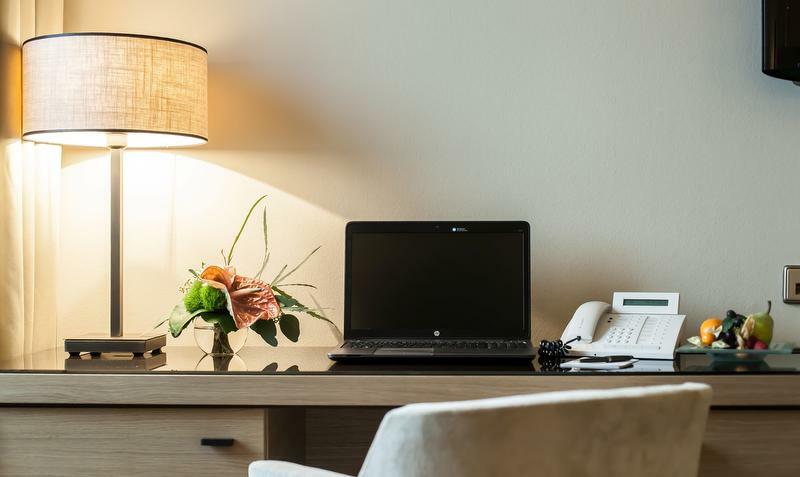 As well as the latest audiovisual equipment and Wi-Fi, the rooms have parquet flooring and wood-panelled walls, creating a pleasant and relaxing atmosphere. For events such as receptions, talks, gala dinners and presentations, the Althoff Hotel am Schlossgarten provides creative catering and helps its guests with ideas for special venues, such as Villa Gemmingen. The Althoff Hotel & Gourmet Collection stands for a unique combination of top-class hospitality and quality catering. 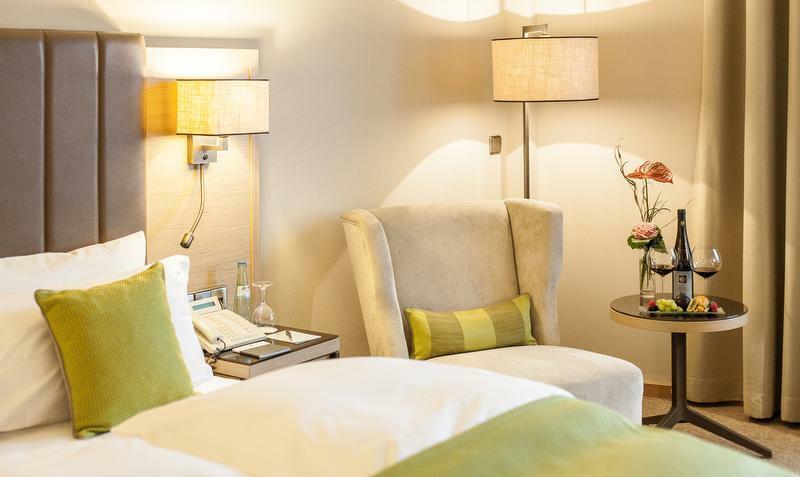 The group of individual five-star hotels includes the Grandhotel Schloss Bensberg, the Schlosshotel Lerbach in Bergisch Gladbach, the Hotel Fürstenhof in Celle, the Hotel am Schlossgarten in Stuttgart, the Seehotel Überfahrt in Rottach-Egern, St. James´s Hotel and Club in London and Villa Belrose in St. Tropez. 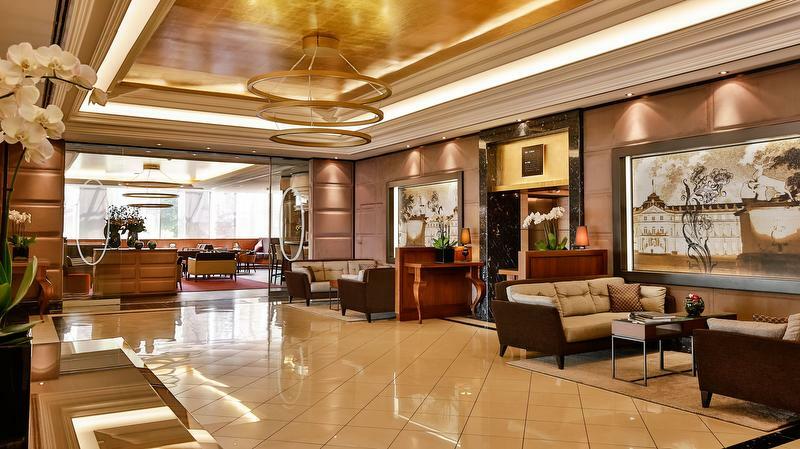 In all these hotels the owner, Thomas H. Althoff, sets a high standard in matters of quality, individuality and service. 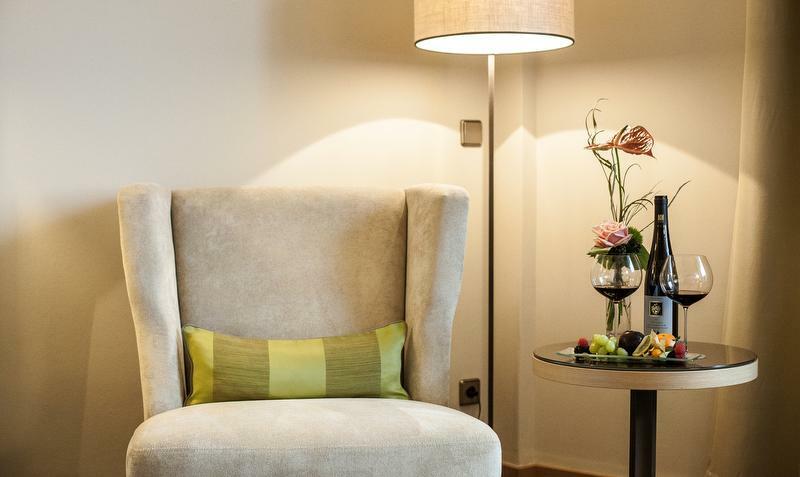 The corporate philosophy of the Althoff Hotel & Gourmet Collection is based on three pillars: architecture & design, service and culinary delights. 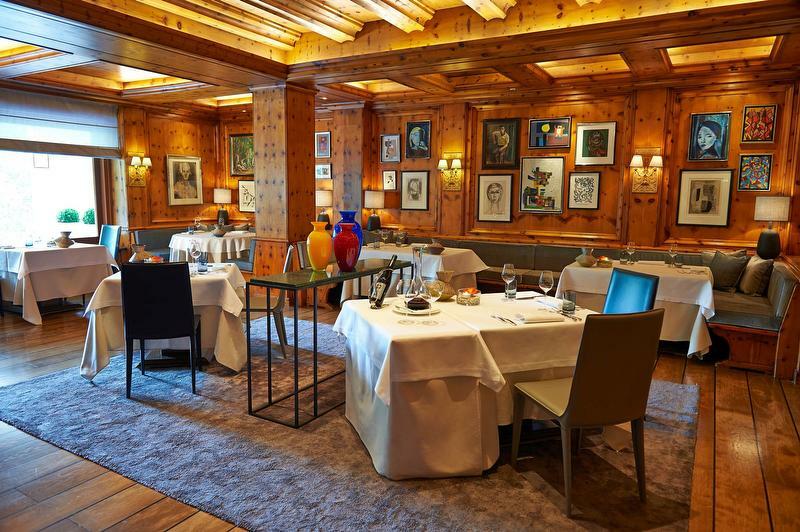 The restaurants and chefs of the hotel group have received a total of eleven Michelin stars, 22 Gourmet F awards and 153.5 Gault Millau points. Further details are available at www.althoffhotels.com.